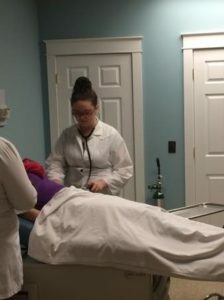 Northern Penobscot Tech is the only technical school in the state of Maine that offers a clinical Medical Assisting Program at the high school level. 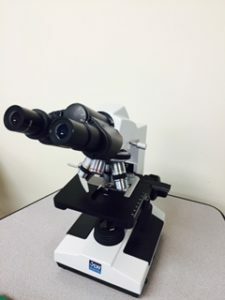 This two-year, college level class, connects students who are interested in the medical field, to medical professionals, and offers them a wide variety of knowledge, such as: a medical terminology class, medical documentation, and clinical procedures using state of the art equipment. A Medical Assistant performs administrative, clinical, and clerical tasks such as preparing lab samples, scheduling appointments, taking vital signs, administering immunizations, and filing records. Medical assistants work under the supervision of a physician or an office manager. WHAT IS A REGISTERED PHLEBOTOMY TECHNICIAN? 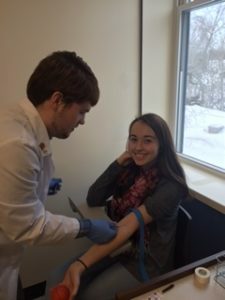 While a student enrolls in Northern Penobscot Tech to obtain a Registered Medical Assistant certification, they will also have the opportunity to gain a Registered Phlebotomy Technician certification. A Registered Phlebotomy Technician draws quality blood samples from patients or blood donors and prepares those specimens for medical testing. NPT offers modern technology for students to practice drawing blood. After practicing their skills, students will have the opportunity to perform live blood draws in class while being supervised by an experienced professional. 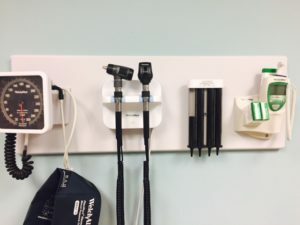 Northern Penobscot Tech has state of the art medical equipment that are the exact, if not more advanced than the equipment used in an doctors office. Students are trained how to use various equipment to do a wide variety of tests. 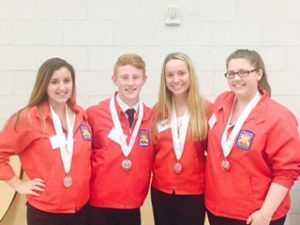 Why take Medical Assisting at Region III? ❖ Successful candidates will achieve a nationally recognized Registered Medical Assistant and Registered Phlebotomy technician certification. ❖ Opportunity to determine if the medical career is right for you. ❖ Successful students will have the opportunity to work in a physician’s office for 160 hours. This work occurs on region days. 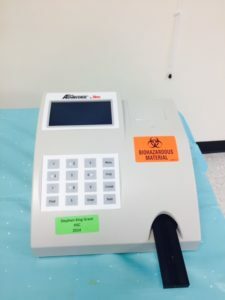 ❖ Students who take this program are often going on to college for something in the healthcare field, having this knowledge gives them an advantage over students who did not take this program. 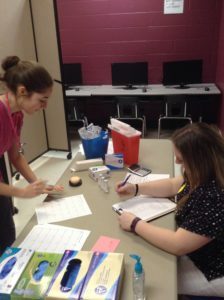 ❖ Students obtain jobs as medical assistants while still in high school. The pay is between $13-$14.50 per hour. ❖ Students going on to college often work as a medical assistant or phlebotomist on a per diem basis. Working side by side with a physician and other medical staff is a very valuable experience. ❖ One past student recently stated: “It has made learning a lot of things in nursing school easier, and there’s still a lot that I learned in the medical assistant program at region that my classmates don’t know yet in our 3rd year. I don’t know how many times I have told people that I am thankful for taking this program”-Current 3rd year nursing student at the University of Maine in Orono. Mrs. Heidi Hale has 27 years of experience working in medical office administration. She has been teaching for 15 years at NPT Region III, and is currently teaching classes through EMCC, Beal College, CMCC, and NMCC. She is an active member in the following organizations: AAPC, AHIMA, AMT. If you are interested in the Registered Medical Assisting program, want more information, or want to schedule a visit please contact your guidance counselor, or call Region III at (207) 794-3004.